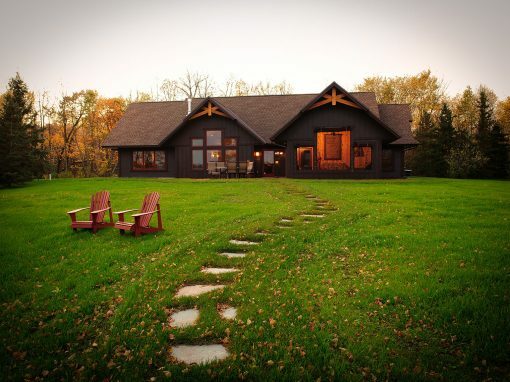 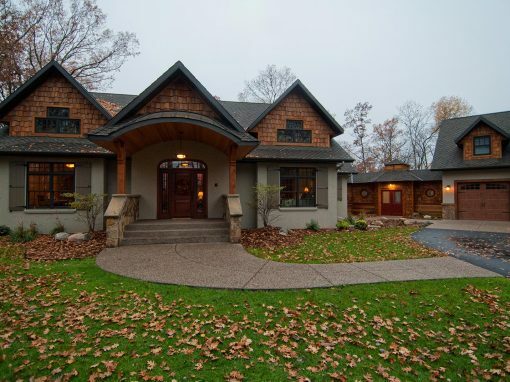 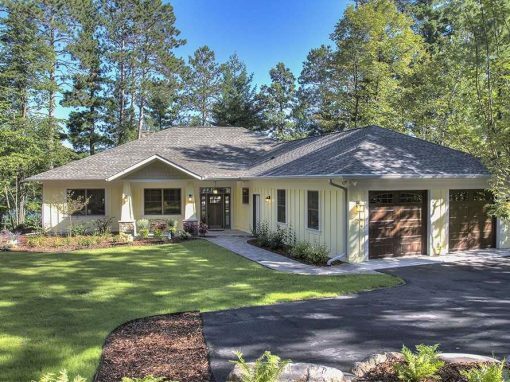 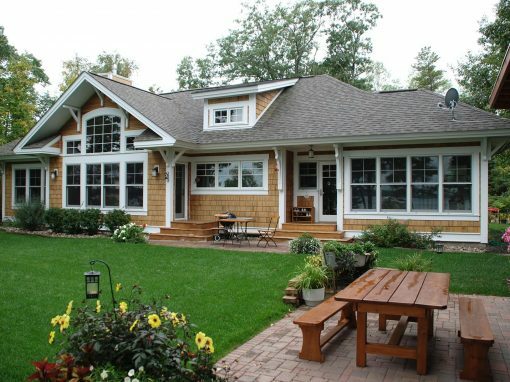 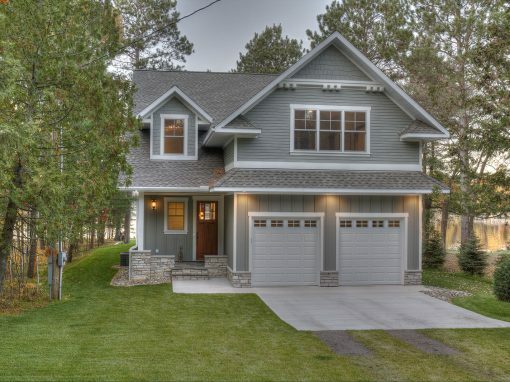 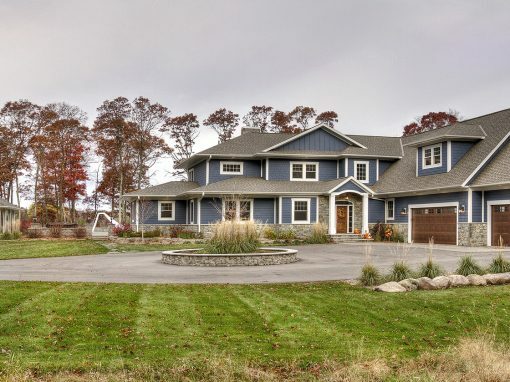 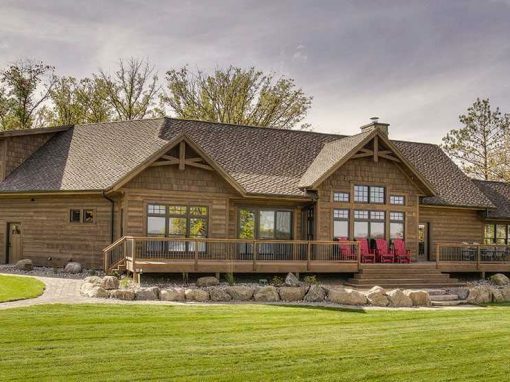 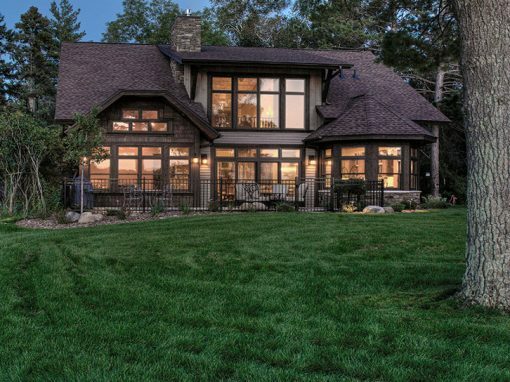 On the banks of Kimble Lake and Kimble Creek, this home was built for lake living. 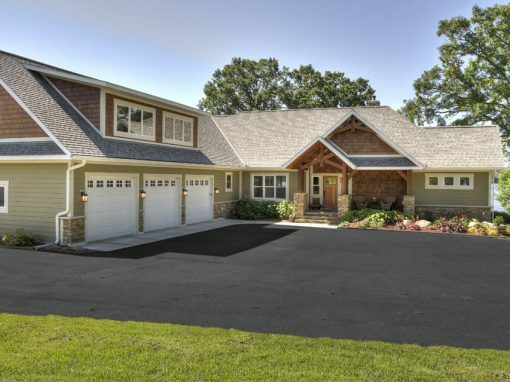 This project was built in two phases. 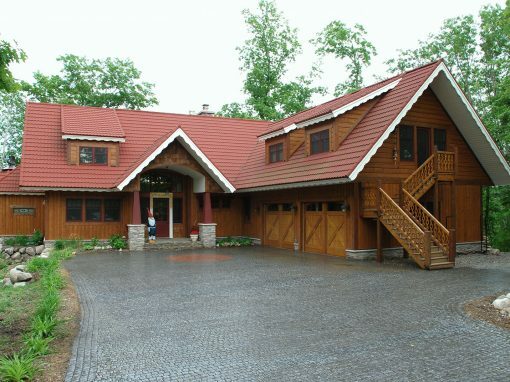 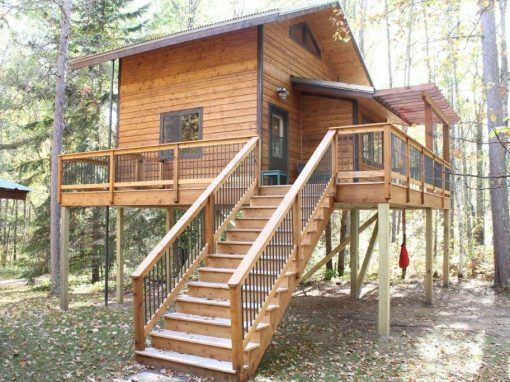 The first was construction of a large garage with a full living space that incuded a full kitchen, bedroom, laundry, bath, office and bunks. 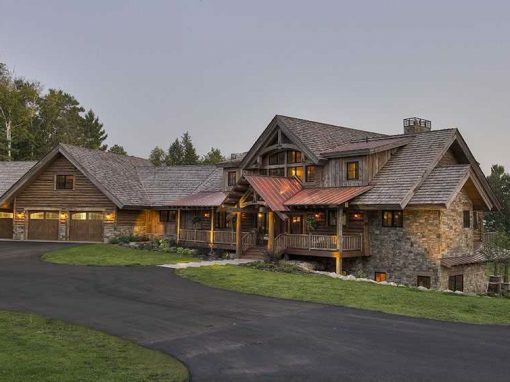 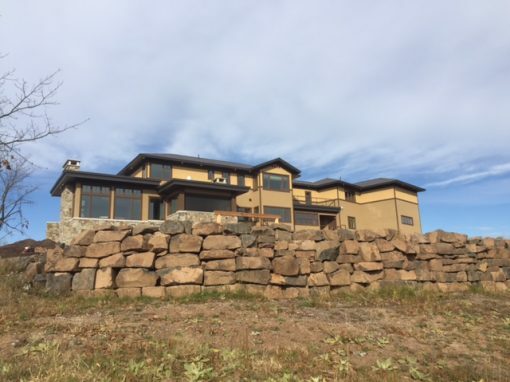 The second phase was construction of the 3,000+ square foot home that included a gourmet kitchen, master suite office, and a large vaulted great room with fireplace. 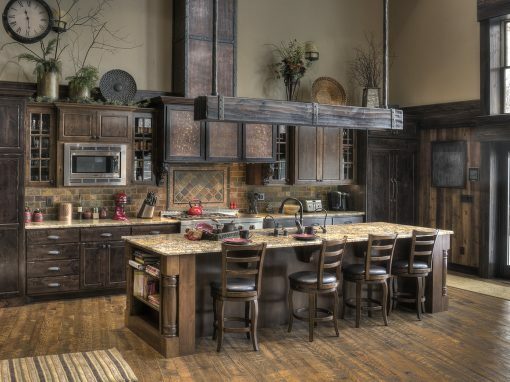 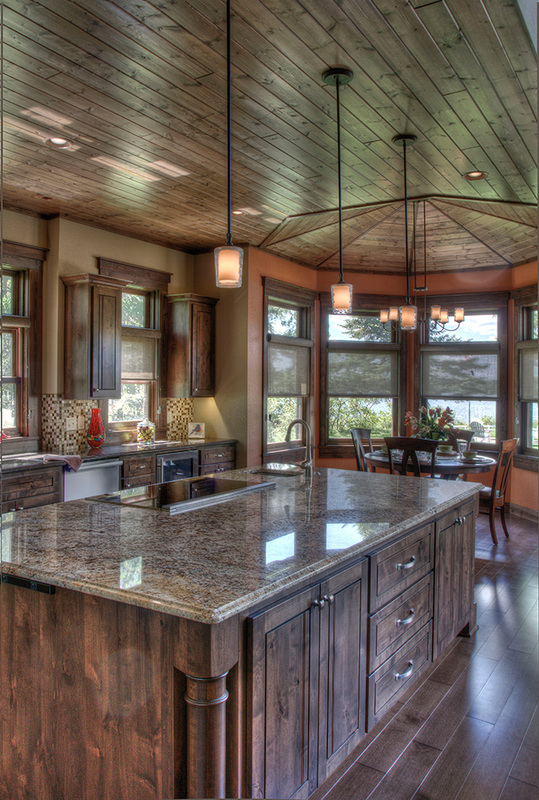 Reclaimed barn wood accents the knotty alder cabinetry and millwork. 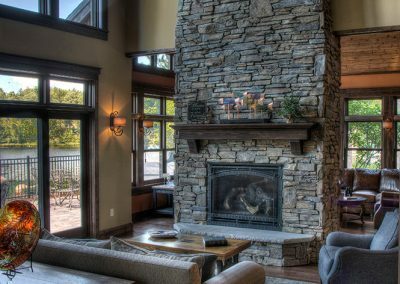 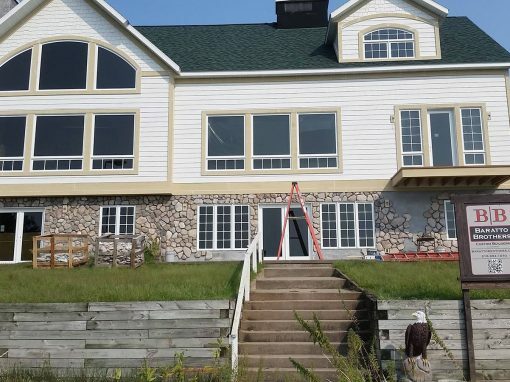 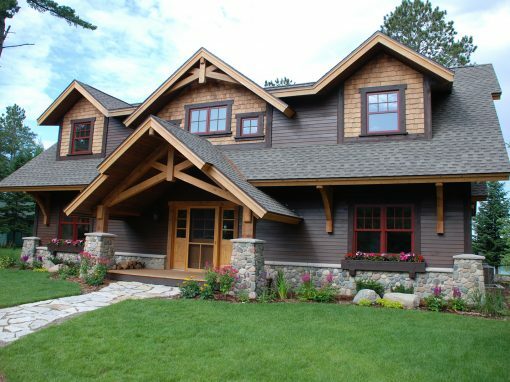 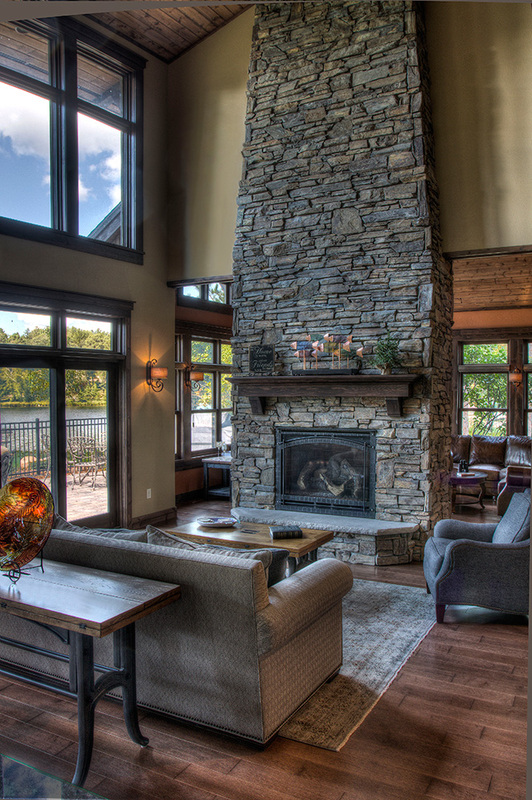 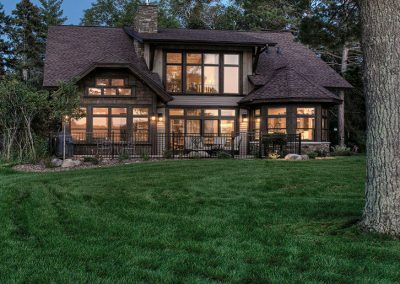 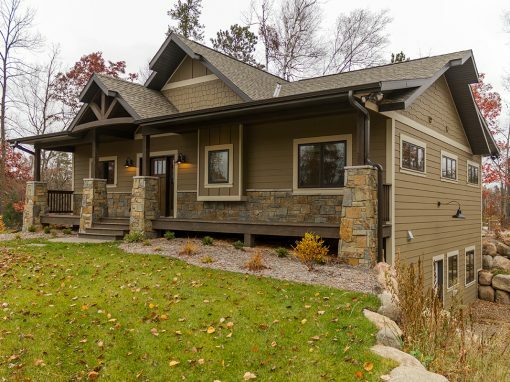 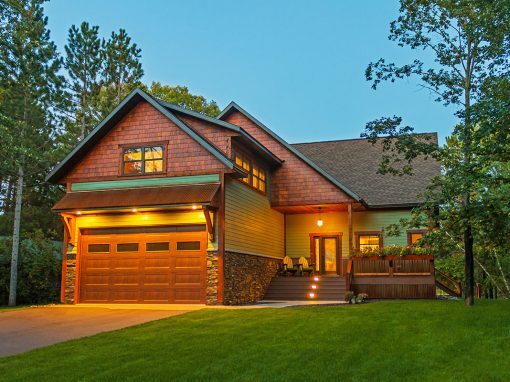 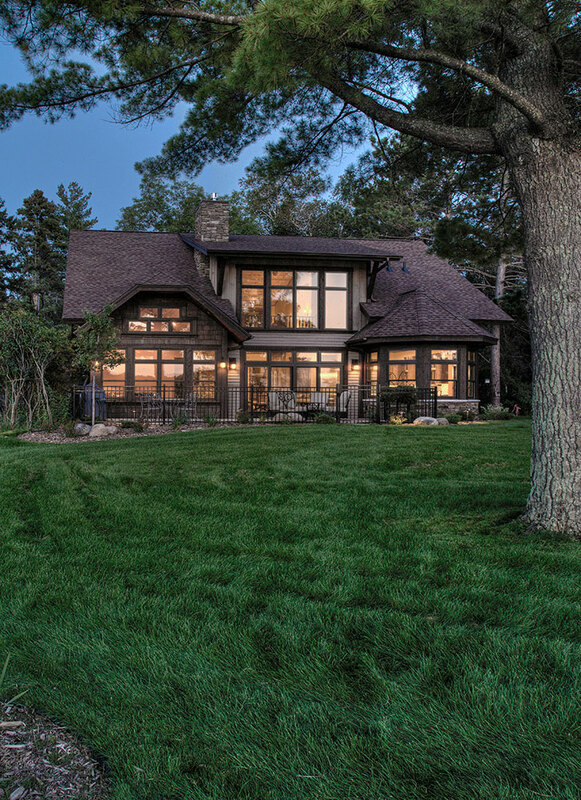 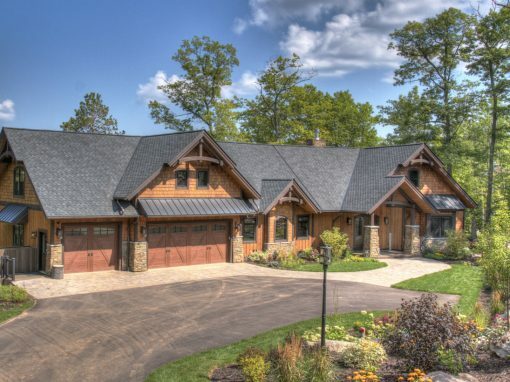 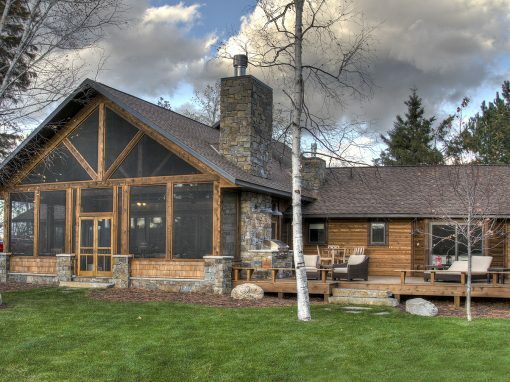 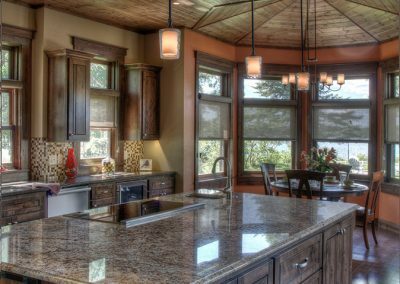 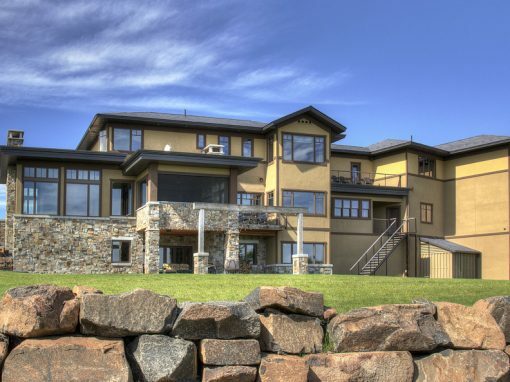 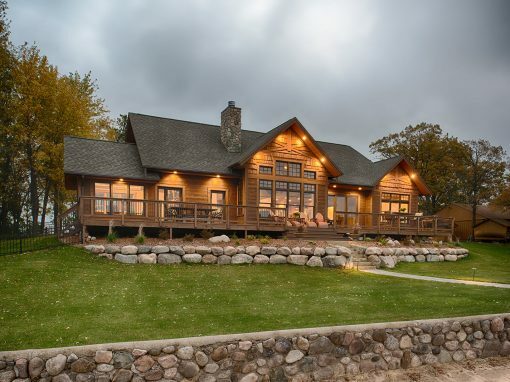 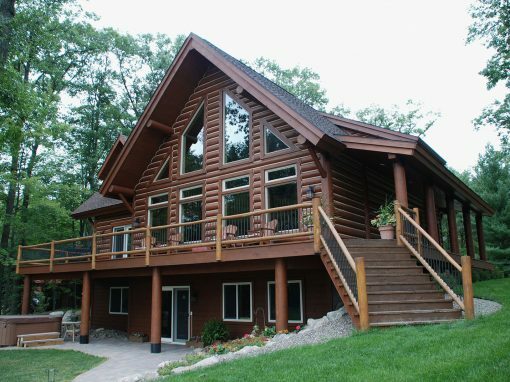 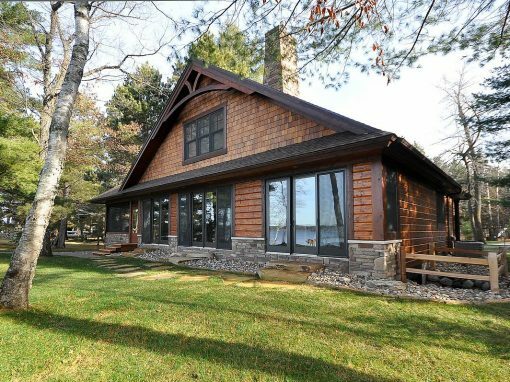 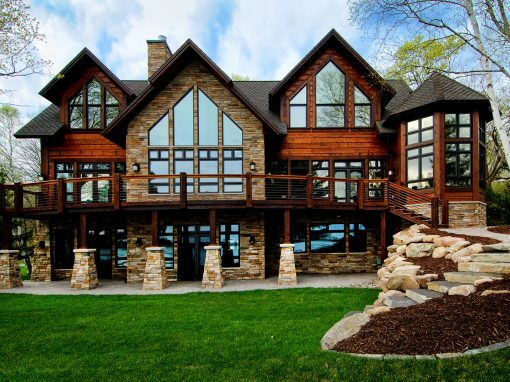 The home exterior includes natural cedar siding/shakes, ledgestone chimney and accents along with a large lakeside patio for entertaining.